I have seen spiritually awakened, amazingly strong people fall into relationships that are sometimes abusive, stressful and manipulative and often wondered- why? There are probably many reasons this happens, but it seems that strong people are already so good at working on themselves and digging through their own baggage, that often it takes a relationship to really push them out of their comfort zone. While I have never been in an abusive relationship, when I met my partner it definitely felt as if I was being challenged by the Universe to unearth things that I believe, could only really could be unearthed by entering into a romantic partnership. I was excellent at being independent and had done a lot of work on myself, but it seemed that entering into a relationship that really mattered, unexpectedly turned my life upside down. Relationships often teach us the most about ourselves, especially when we are already strong characters. If you are struggling in your relationship, if you are wondering why you seem to have everything else flowing smoothly in your life except romance, it could be a sign that you are a strong soul that is here to experience deeper, transformative work through “other”. Strong people are often so good when they are on their own, but suddenly they enter into a significant relationship only to discover a whole suitcase of baggage they didn’t even know they had. It is one thing to work through your own skeletons, but when they are triggered by another person, things can get messy very quickly. It is important for people in this situation to remember that their relationship is part of something bigger and is there to help bring about growth, change and transformation. In order for strong people to grow, their relationships often have to present some challenge in order to reach through to the other side. This is not to say that strong people are forever doomed, but in the early days especially, it could be typical to attract these sorts of challenging relationships. By focusing on the bigger picture and the growth that is to be had through the relationship, it can sometimes help to keep things in perspective. Strong people often enter into relationships that also serve a higher purpose that perhaps may not even be revealed in this lifetime. Strong people are often destined to enter into many soulmate relationships. Soulmates come into our lives to help challenge our soul in order to grow. Soulmate work can be very heavy, painful and amazing all at the same time, but the ultimate mission is growth of the soul. It is through these relationships that strong people often do their most healing and self-discovery. This is because they are so good at being independent that merging with another person is where most of their weaknesses are highlighted. 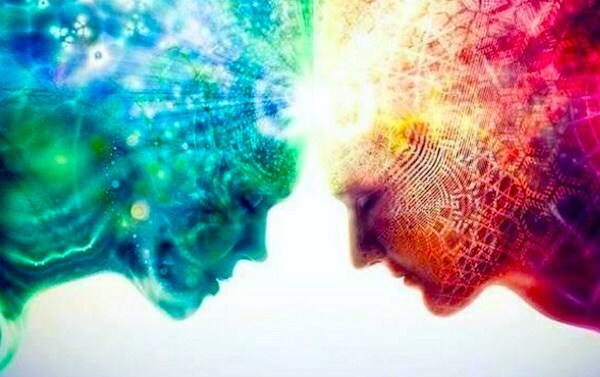 Soulmate relationships also don’t have to be forever, but in terms of growth and evolution, the effects of the relationship are likely to last a lifetime. Many strong people are also healers and therefore, will attract partners that need a lot of healing and attention. Strong people are also generally equipped to handle the pain and emotions of people who need healing, emotional support and comfort, which is why the Universe will bring them together. Healing is never one-sided however. If you are doing a lot of healing work in your relationship, it is likely that both parties are experiencing the benefits. Strong people are also often sent to help other souls work through similar patterns or skeletons that they have had to deal with either in this life, or in past lives. The one thing to be mindful of here is not to get caught up in a one-sided relationship. If you are feeling drained from all the ‘healing’ work, it may be a sign that you need to also shift your way of thinking and being in the relationship in order for it to grow. Often a challenging relationship is full of karma from past lives. Relationships can also trigger things within us that can cause us to feel heavy, confronted and confused. Karmic relationships are often intense and heavy, especially in the beginning. There can also be a strong, unexplained pull to each other, or even a strong repulsion at times. Healing old karmic wounds in a relationship is challenging work, but can also be a huge potential of growth and revolution. When it comes to karmic work, the lessons will continue to follow you from relationship to relationship in order to be healed, released and cleansed. Strong people often attract a lot of this into their lives because they are strong enough to handle it and have been given the tools they need to work through this karmic energy. Doing karmic work in a relationship doesn’t mean that you have to tolerate abuse or other bad behaviour, but sometimes sticking with the lesson and making your way to the other side can be the most therapeutic thing for your soul. 1.) Give yourself permission to be weak. Often strong people go through life always having to support other people, but challenging relationships can help stimulate the opposite. Allow yourself to be held and supported in the relationship, and resist always having to be the strong one. 2.) Learn to soften yourself and melt any barriers you have created surrounding receiving love. Often strong people are very good at giving but they are not so good at receiving. 3.) Understand that all relationships are just experiences that are here to help you grow and evolve into your highest potential. Embrace the challenges that come your way and remember it is all part of the journey. 4.) Focus on self-love. When you truly love yourself and make decisions from this place, it will help you to move forward in the relationship. 5.) Remember that challenging relationships can sometimes be the most rewarding. When you can move through the issues and into a clearer space, it can create a strong relationship that is often for life.